her music is a little unusual in that it sounds slightly fantastical. i’m not overly versed in her music but i found out about her after reading of praise she received from thom yorke, whose little band she opened for recently. her voice is at at times pj harvey, tori amos, bjork…and maybe even cat power. still, i don’t think you could mix her up with any of those ladies. she hails from britain. she’s half pakistani. while working as a nursery school teacher, she put together her first album, sheryl crow styles. 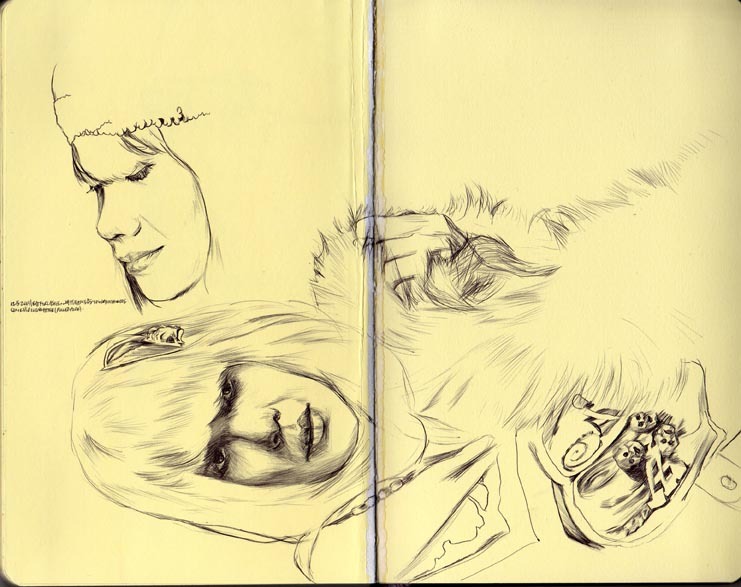 natasha khan in moleskine.